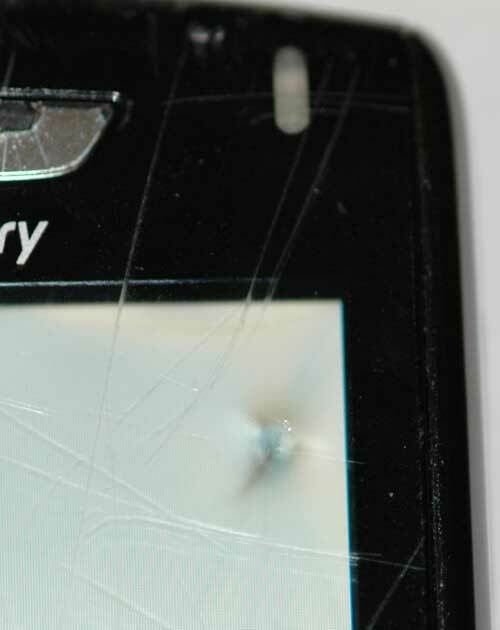 What happens when you drop your BlackBerry in front of a moving NYC MTA bus? Well, let’s just say that the bus wins. I was walking home from dinner and stopped at a red light on Second Avenue. I felt my BlackBerry buzz on my waist, so I reached up under my coat and started to pull it out. Somehow, it got loose, plummeted to the ground, and bounced its way into the street, right in front of an oncoming bus. 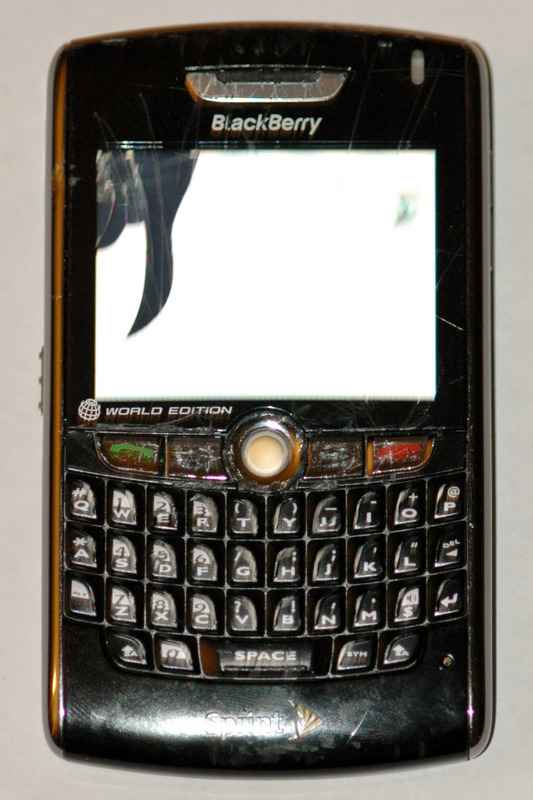 I watched helplessly as my BlackBerry was run over by the behemoth. After the bus had passed, I looked for the BlackBerry. It was found a good 20-30 feet down-traffic. It’s back was off and the battery was out, but otherwise it was in one piece. I could clearly see it was badly scratched on it’s face, but it might be usable for the night if it still worked. I placed the battery in, and that’s when I saw the extent of the damage. The upper left corner of the LCD screen was cracked. The entire left side of the LCD screen was unreadable, but the right side seemed fine. I was able to tell that it was asking me for my password, and able to navigate to the e-mail app and the phone app without issue. I even tried to send an e-mail to my staff informing them that I was going to be BlackBerryless for the night; I was able to get the right address on the screen, but couldn’t tell when I was typing in the message area. On top of that, several keys didn’t feel like they were working. Within an hour, the entire LCD screen was white and unusable, but the darn thing kept buzzing whenever an e-mail was sent to me. 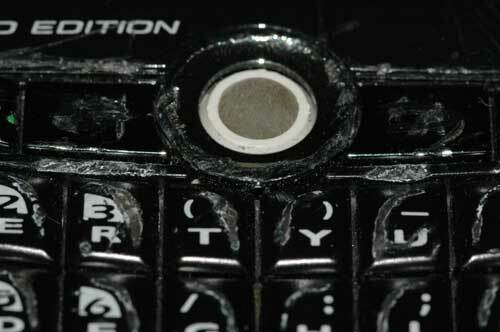 On top of that, a quick phone call to the device showed that the phone was working, as well as the mic and speaker. It could receive calls, and if you could use the screen, I assume it could make them as well. 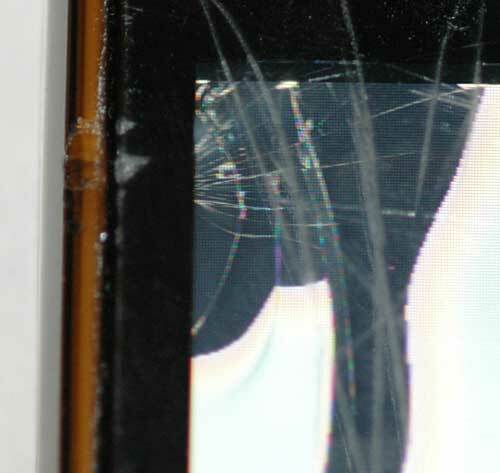 A quick phone call to Sprint support (oxymoron) gave me even worse news…I had not gotten the insurance on the device. You would think that device insurance would be mandatory for a bonehead like me. The lesson learned is that when you use a $500+ smartphone, make sure you get the insurance.